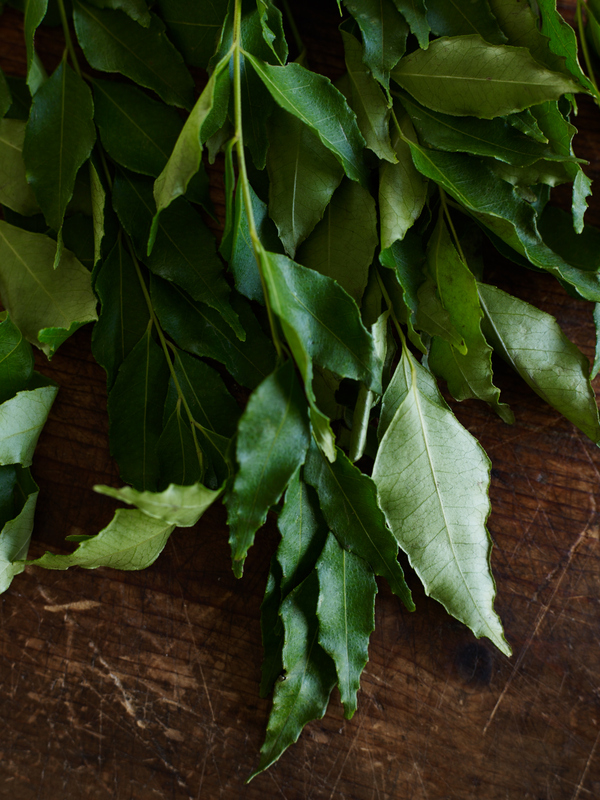 Curry leaves have a complex aroma reminiscent of curry powder, and a spicy somewhat bitter though not unpleasant flavour. They’re used in many Southeast Asian countries and are a mainstay of southern Indian and Sri Lankan cuisine. The leaves are used whole as a flavouring, then discarded, or softened into long-cooked sauces or gravies. Other uses include grinding the leaves to a paste with coconut and spices to make fresh chutney, and to mix them with spices and use as a marinade. They are also delicious when fried until crisp and are often part of a spicy finish swirled into a curry just before serving. Preferably choose fresh not dried leaves because the leaves lose their pungency when dried. When picked fresh, they’ll keep a week or two in an unsealed plastic bag in the refrigerator. Fresh, fragrant and downright pretty, edible flowers add character to a plain green salad. Yes they do! Tarts topped with tangy goat's cheese and asparagus, just so NOW!